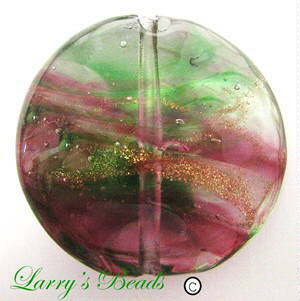 All of Larry’s merchandise is 100% guaranteed so if your bead should ever crack or break it will be replaced free-of-charge. 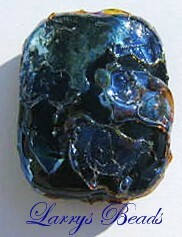 All of the wire and findings used in the pendants and jewelry is 100% sterling silver. You do not need a PayPal account to use the PayPal shopping cart feature. Online transactions are guaranteed safe and secure via PayPal's encrypted web servers. Please see the contact page if you would prefer to call or email your order in. 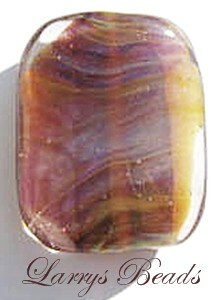 Beads are approximately 15mm - 18mm in size. P. s. If you see a set here that has more or less beads than you are looking for, just email us and let us know what you want instead. We accommidate most orders. 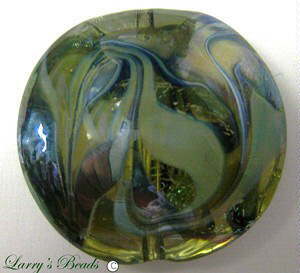 If you would like to see a larger view of any bead, simply click the picture. 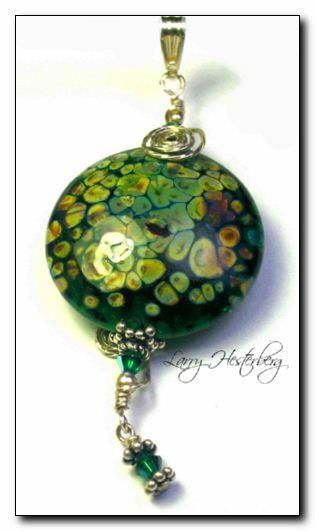 Clear with Gold Stone Sparkle Cranberry, and Green 30 mm round Lintel Focal . Clear Gray with Silver plum shards This 30 mm round lintel focal is beautiful on both sides. 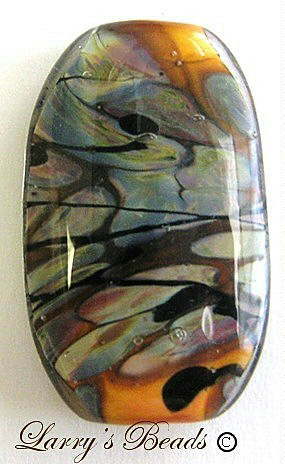 This 30 mm long x 20 mm wide 7mm thick Pumpkin Orange focal with Raku and thin Intense, Black stringers encased with clear. This is a new glass with a lot of Silver in it the color is very hard to describe Misty Blues and Purples it is one of the most beautiful glasses it changes color as you are making it. 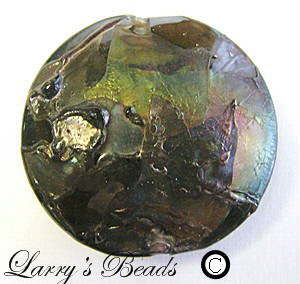 This bead is 31 mm tall, 25 mm wide & 9 mm Thick. 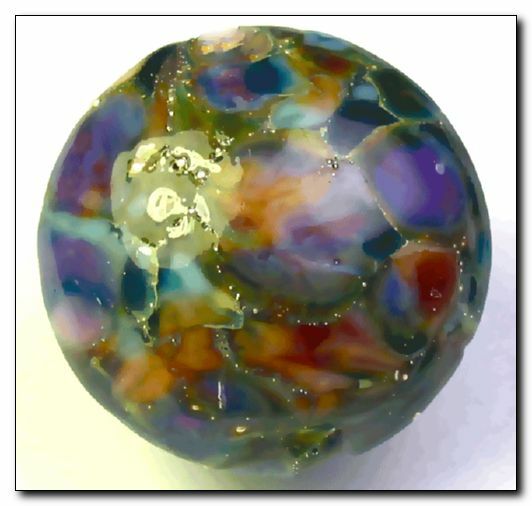 The Color changes as you move the bead. This is truly a stunning piece of art. I just love the Ekho glass shards over the Black background. 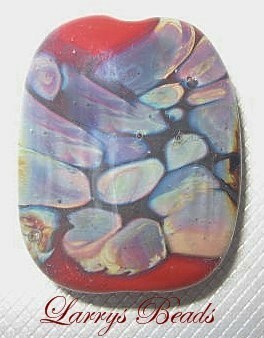 This Bead is 34 mm tall, 28 mm Wide & 11 mm thick.